The Federal Reserve has a clear message for Wall Street: Get on our page. Before this week, Wall Street all but wrote off the chance of even a single rate hike this year. That's despite the fact that the Fed had forecast two rate hikes for 2016 even though members expressed concern about the global economy in March. The Fed doubled down on that view according to the minutes released Wednesday of its April meeting, where it reiterated that there's a strong chance of a rate hike in June if the economy stays on track. Now Wall Street is catching up to the Fed. "I was surprised that the market wasn't taking more signals from what Fed speakers were actually saying," New York Fed President William Dudley told reporters Thursday. "The market was not putting in a sufficient probability" of a June rate hike. Dudley's comments echoed what Fed leaders discussed. Essentially, Wall Street wasn't taking the forecast seriously enough. "Some participants were concerned that market participants may not have properly assessed the likelihood of an increase in the target range at the June meeting," according to the Fed's minutes released Wednesday. Wall Street and the Fed are in a tug of war match. In March, the Fed did lower expectations for rate hikes to two from four, which put it in line with Wall Street's view at the time. Then investors slashed their expectations even further: to zero. The minutes and commentary from leaders like Dudley has now caused investors' rate hike expectations to shoot up. Last week, investors' expectations for a June rate hike hovered around 6%. Now they're at 26%, according to CME Group. A slew of good economic news released recently is helping the Fed make a case for raising rates in June. Strong retail sales, a pick up in wage growth, rising predictions for economic growth and a recovery in manufacturing have all come around in May. The Atlanta Fed's forecast for economic growth in the second quarter has risen to 2.5% from the initial estimate of 1.8%. That would mark a spring bounce back. First quarter growth was anemic, only 0.5%. 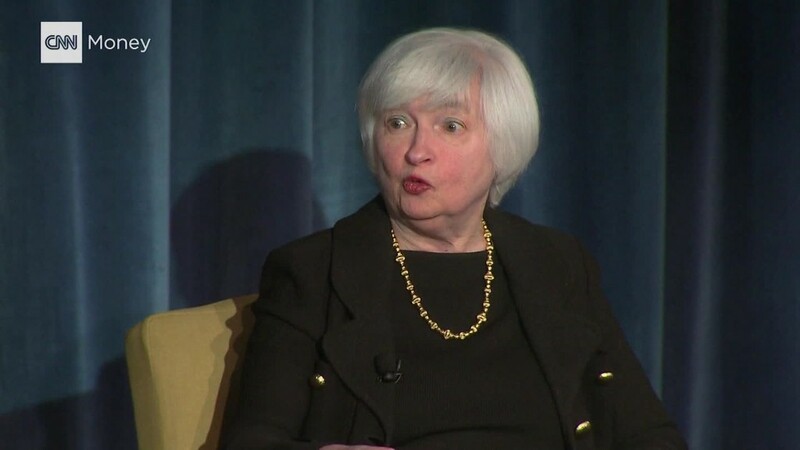 Fed Chair Janet Yellen speaks next week at an event in Harvard University. Her words carry the most weight and will likely sway investors' views for June.